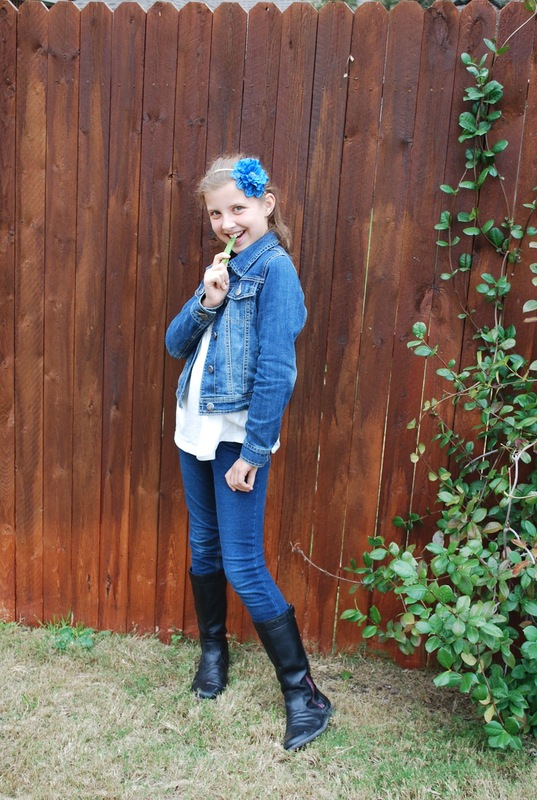 ' Savvy Style - Kid Edition - Sisters, What! Since I have absolutely no style when it comes to dressing myself I thought I would share my cute daughter's outfit she wore to school today. She insisted on eating her snack while I took the picture. Cute! I love the sassy boots!